Self-adhesive Peel-N-Seal flap provides a secure seal. Protective waxed paper strip keeps the self-adhesive closure free of dust. 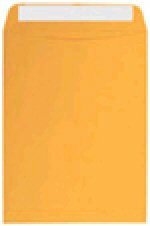 Heavyweight 28 LB Kraft construction protects important documents.